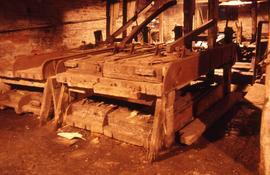 "Redditch Forge Mill - Needle polishing"
The Forge Mill at Redditch in Worcestershire was built to serve the needs of the Cistercian monks of nearby Bordesley Abbey. Now a Museum. Known for manufacture of needles, fish hooks and other products. 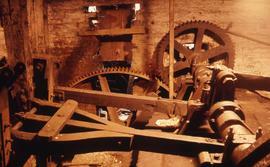 "Redditch Needle Mill - Gearing and cranks"